The better way to manage and deliver group sales proposals. 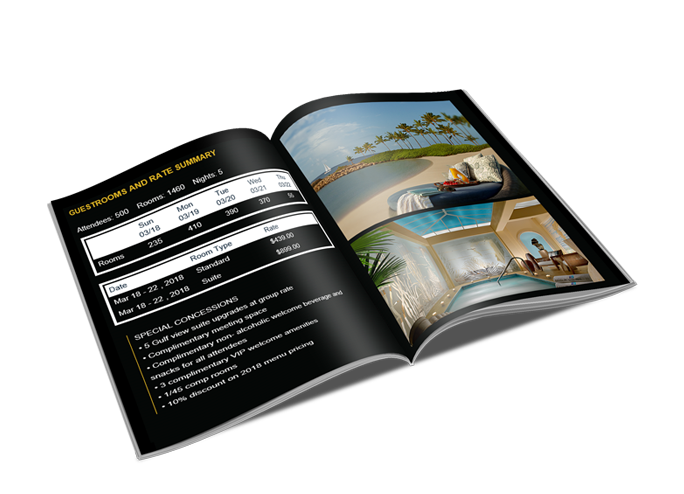 Create professional sales proposal flipbooks that are easily customized to address the specific requirements of any group sales lead. Planners respond to proposals that have been personalized to specifically address their needs. 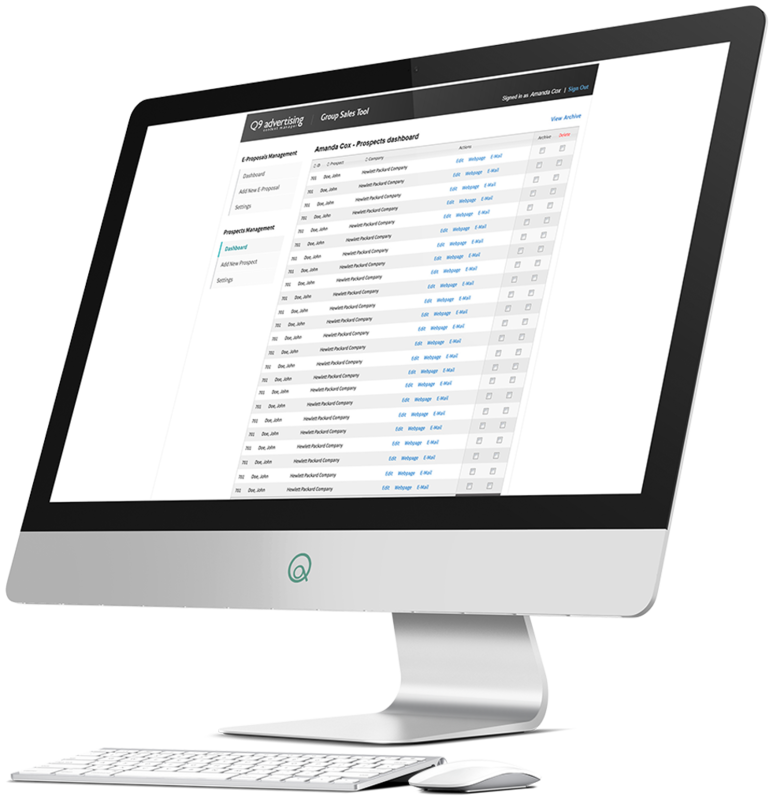 A tool that allows sales associates to respond quickly and manage leads more effectively. 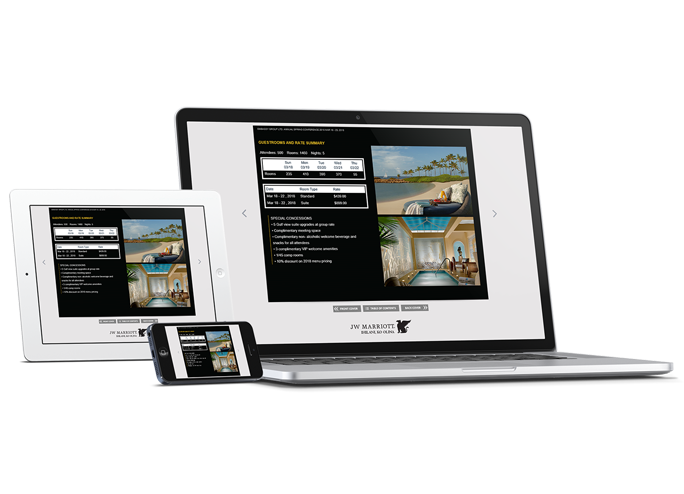 Create dynamic flipbook sales presentations that will get your property on more short lists. 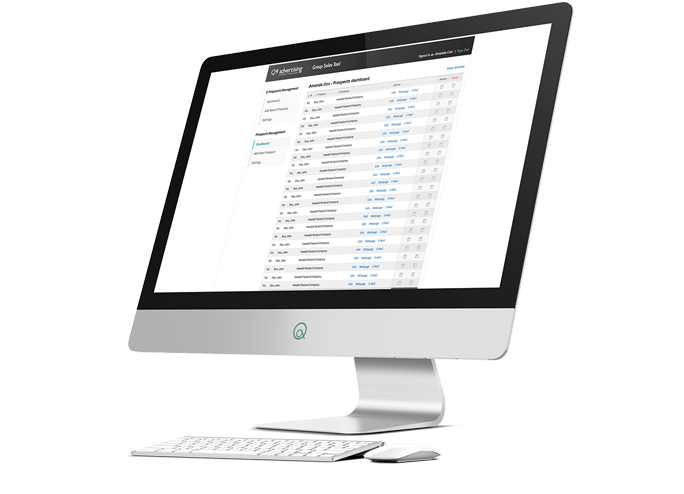 Upload proposal links and timeline statistics into any sales management system. 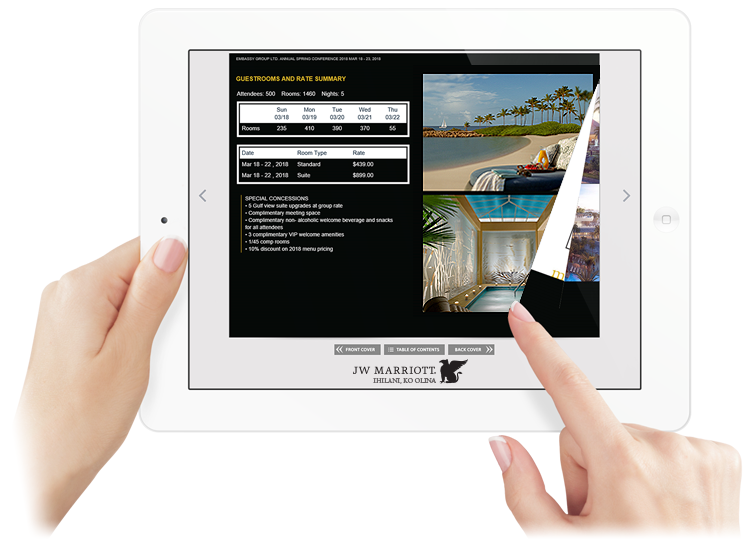 "The feedback from the team on the Group Sales Tool has been overwhelmingly positive. Proposals can literally be generated in minutes. Admins have been loving how quick and easy they are to produce (much faster than the traditional powerpoint or sales templates) and that they look very customized." 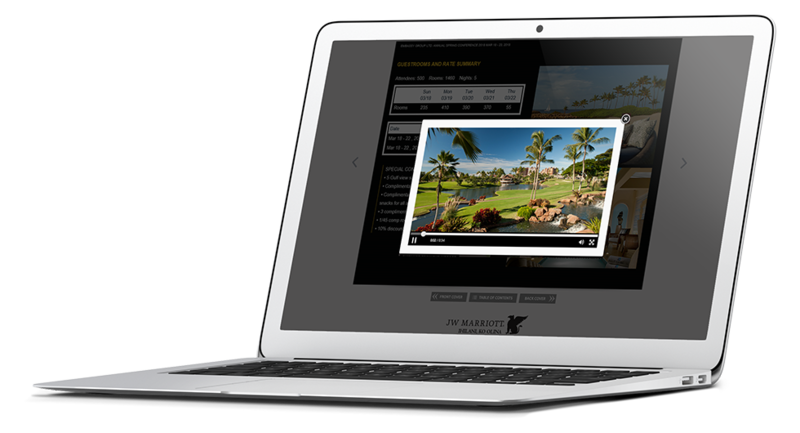 Sales agents select the best welcome, resort and outlet videos. 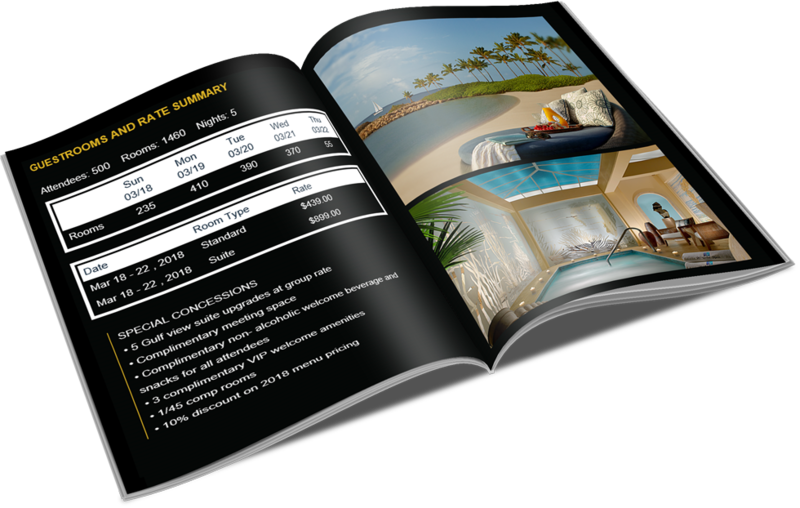 Included is room night information, concessions and offer information about the meeting in an online flipbook. Log the proposals into any existing sales management system by loading the welcome email as a file attachment. Sale associates have ongoing access to the entire history of all proposals and related information throughout the entire sales process. 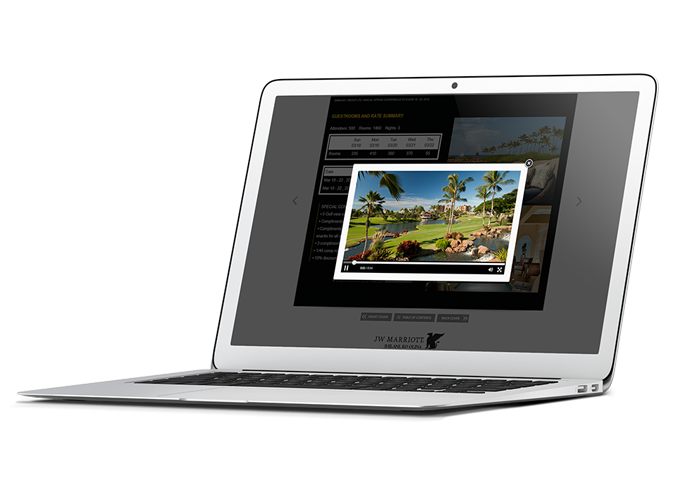 Create a welcome video for each client, incorporate promotional videos and cache of media for highlighting all the unique aspects of your property. 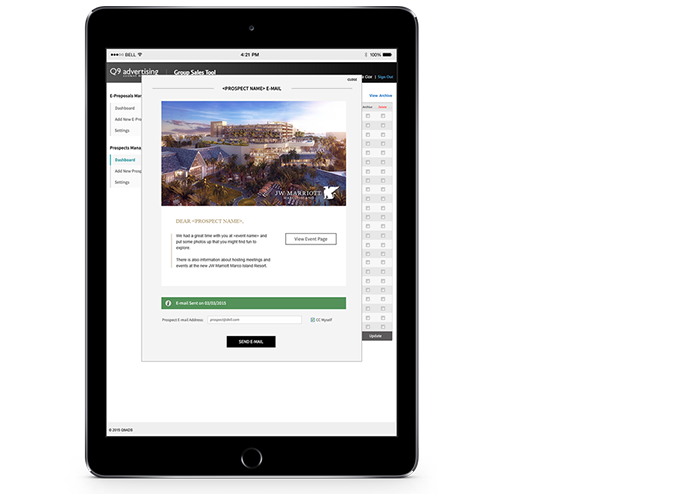 Planners can access and respond to proposals from any desktop, laptop or mobile device. 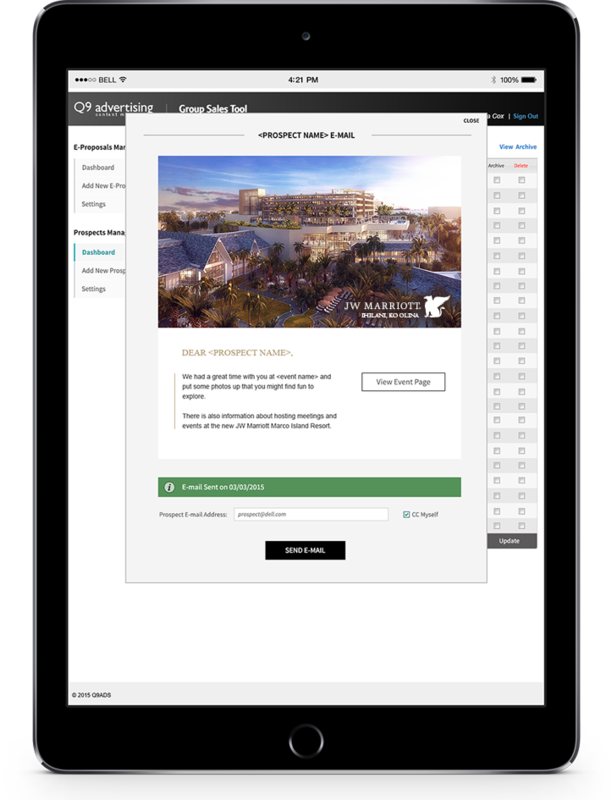 Your team can also use any device to create, edit and manage active proposals and new leads. Associates and team members have individual user account access to the Group Sales Tool system so they can work as a team to manage any number of leads at any time.